We have worked hard these past few days to have our house and possessions ready for the Big Move on Monday. I have traveled around 200kms in my van, to and from the garbage tip. We have worked from around 7am till 8pm every day, with very little time to rest. With the removal truck coming tomorrow, we were almost ready to call it a day here. The last of the items would be given to charity or thrown out, and then would come the cleaning. At just before 5pm, we received a call from our lawyer. Apparently the owner of the house we were about to move to had screwed up the bank details. Her bank were not ready to release the property to us, meaning that the move would not be going ahead this weekend. Kitty and I were in shock for around 5 minutes, and I had some trouble understanding the Lawyer. She was very helpful though, and said that she had already advised the people who bought our house that they would have to postpone the move. She advised we cancel the removalist and stay where we are till we have everything sorted out. We quickly arranged the cancellations, yet we were in a daze while doing this. Afterwards we called our Lawyer again to confirm how things would go in the future. Apparently, everything is still all going ahead… we just need to wait till the banks sort out their details. Other news? My rabbits escaped! I put them into some cardboard boxes on Wednesday morning, so that I could clean their cages and arrange for their packing for the move. When I came back in the afternoon I found they had eaten holes in the two boxes and were now roaming free. I decided not to chase them, so I tried to catch them by letting them come to me. They were just hopping around my feet, and letting me pat them, yet when I went to slowly grab them, they hopped away. I managed to catch one, my Ginger, yet the other three are still at large. I have placed some food for them, so they are still around the house. If I can’t catch them, I don’t know how I can explain it to the new owners of the house. At least Ginger has come back to me. Well, we are not that happy about this situation. I had taken two weeks off work to complete the move, now it seems like it won’t go ahead at the moment. Also, our kids are due to start at the new school in ten days. That could cause some problems too. yet there is a silver lining here, we now have more time to finish our packing and cleaning, and we now also have some time to enjoy the weekend. 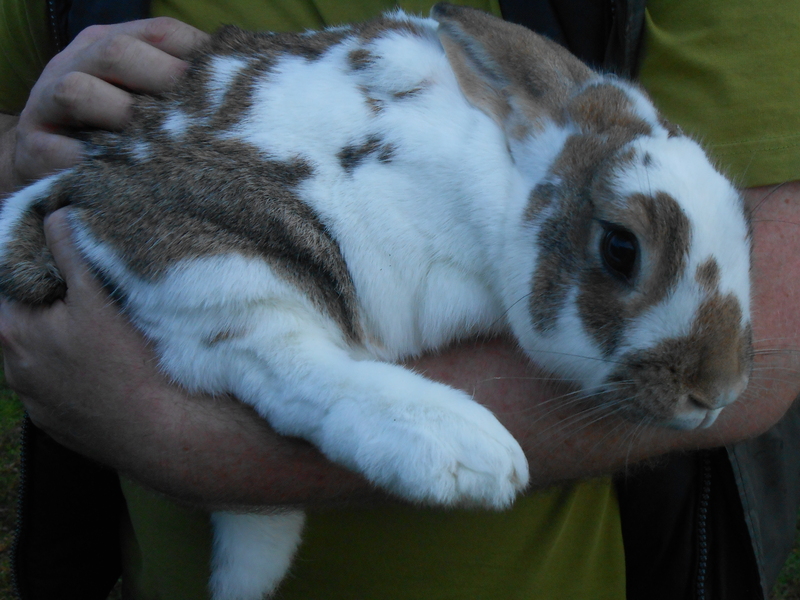 I may also be able to catch my other rabbits that escaped, which would also be nice.